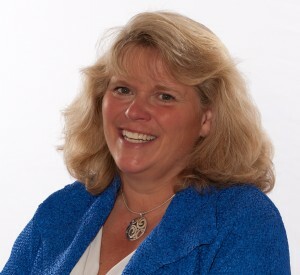 Currently the VP of Global Lead Generation & Field Marketing at the social intelligence company NetBase Solutions, Inc., Gretchen Hoffman has also held executive marketing positions at the Genesys Contact Center & Alcatel-Lucent Telecommunications, and at other companies during an eventful 25-year career. In addition to having some excellent perspectives on the past, present, and future of marketing, Gretchen has kindly offered to share her perspectives as a marketing executive who happens to be a woman in a largely male field as well as the mother of two children (and three dogs). In part one of our interview, we’ll hear Gretchen’s thoughts on what’s happening in marketing now and what very well may be happening in the years to come. RAJESH KADAM: Thanks for chatting with us, Gretchen. We are looking forward to hearing your perspectives on marketing—especially in today’s dynamic environment. Let’s begin with a little background. You’ve been in several high-level high-tech marketing roles over the years, and you’ve no doubt seen many major changes in marketing. From your vantage point, what are three of the most significant changes you’ve seen in, say, the last 10 years? Why do you think they’re especially significant? Emergence of Social Media. The way people engage in social today is vastly different from 10 years ago. The social networks such as Facebook, Twitter, Instagram, Pinterest and Youtube have added more real-time dialogs and insights as well as the opportunity to build more personalized engagements. Advancement of Mobile and Wireless. We can now reach people on their devices anytime anywhere in a way that is relevant to them and pertinent to where they are (GPS and geolocation). Evolution of Inbound Marketing. Marketing to get your target to come to you has evolved. Inbound marketing using SEO, social, blogging, PPC and retargeting is now what companies seek expertise in so they can get more quality leads and get found by the right people. We now need more personalized, more relevant content. RAJESH: Yes, social media clearly seems to be changing everything for marketers. But B-to-B is one area where social media seems to still be finding its way. Do you foresee big changes here in the next year or two? Will social media be playing a much larger role in B-to-B marketing or not? GRETCHEN: Most definitely. We see companies such as Salesforce and Oracle building their cloud solutions for Social CRM. This will help more marketers turn to social for more understanding of their customers in real time. The goals here will be upselling, retention and getting new business. In fact, NetBase offers the ability to view what is happening accurately and at the speed of social, so B2B marketers are now able to look to social with more confidence by using the data to make business decisions. B2B goods are usually purchased rather than sold. Rarely are there impulse purchases. And the buying cycles are longer. This all means that it is critical for B2B marketers to join in the conversations at every stage of the buyer’s journey. So content in social needs to be relevant by persona and searchable, so using keywords to aid in SEO/SEM is critical. Social offers the ability to reach people in real time with relevant content. This is key to meeting the demands of B2B customers today. RAJESH: I’ve always been fascinated by the intersection between social media and brand. How does social media change the brand? How can companies that manage greatly expanded social media programs best protect brand equity? GRETCHEN: Social does not change your brand, but it can greatly impact your brand’s reputation. You can use social to boost the reputation of your brand. American Airlines does this. It was one of the first airlines to actively listen and engage in social with their customers. Or you can use social to listen for any potential social crisis and take steps to avoid or at least minimize it. For example, United Airlines should have done this to avoid the “United Airlines Breaks Guitars” fiasco slamming United’s customer service that went viral. Or you can boost your brand and get “free” impressions by responding in social in real time. For example, like Arby’s did when they heard people tweeting that Pharrell’s hat should go back to Arby’s. Arby’s received 83K retweets, $30M in PR value and 2047 Media and Broadcast placements when they tweeted to Pharrell during the Grammys and Oscars. RAJESH: As marketers move forward in a rapidly changing landscape, what are some of the emerging trends you think they should pay special attention to and why? Growth of Collaborative Communities. Ask Jeremiah Owyang, who left Altimeter Group to start his own company, Crowd Companies, about this. Companies such as AirBnB, Uber and so many more are popping up and having great success as people with common needs come together. Agile, Real-Time Marketing. Social and web technologies allow people to communicate in real time, and these people expect companies to know what they want now—and to react in real-time. Content to Fuel Multi-Channel Marketing at Each Stage of the Buyer’s Journey. Bringing the right people into your lead funnel and through your funnel to sale is key to generating sales revenue and ROI for marketing investments. This means ensuring you have a content strategy that maps to each stage of the buyer’s journey and lead funnel. And that you consider the impact of search when creating this content so you get found. Social Smarts. Know what matters. Then know how to find it in social and how to apply it, leveraging social as one of the channels to engage. Both keeping up and engaging with the relevant dialogs can be real challenges with the abundance of users and social networks. Security, Email and Web Policies. Ensuring that you keep up and comply with the latest cyber regulations, security policies, opt in/out by region is another big challenge. We see more and more rules begin put into place from ensuring employees do not say anything they should not about their company in social to stricter opt-in policies by region. In fact, Canada changed their opt-in regulations July 1, 2014 to avoid more spamming. RAJESH: Thanks, Gretchen. We’re really appreciated your very thoughtful responses. We’ll look forward to hearing more from you in the second part of this interview. GRETCHEN: Thanks, Rajesh. It’s my pleasure! Great interview….very interesting, Gretchen. I a,m very proud of you…..
very interesting, Gretchen….i am looking forward to the next part…..very proud of you!!!!! Fantastic interview! I always learn from Gretchen! She is BRILLIANT!